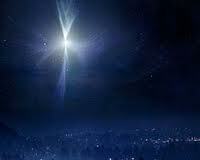 The star that sheds just enough light so that we can take one more step and then we must look to the star again. So like our lives that we, too, live in exile and fear, but also in HOPE. So emblematic of the strangeness of Christianity; its inconcongruities and contradictions. Never what we think its going to be, never what we think we want it to be. Always a fresh twist, a new pain, a new joy. Always a God whose ways are not our ways. The order to flee to Egypt. May your 2012 be filled with daily, wonderful. and glorious epiphanies of God’s extravagant love for you. Oh, I get to be first to Like this–and I really do! I was delighted to see several bloggers do a post on Epiphany, as I remember celebrating it when I was a child in the Episcopal church. This is especially lovely–and piercing–God’s “extravagant” love for us! Such a wonderful word–rich and full of comfort and faithful confidence! Thank you so much. God bless you today, as well. Yes isn’t extravagant a wonderful word…it’s rich! god bless you Caddo Veil…may your new year be filled with wondrous epiphanies. May we all blessed with the Epiphanies of light throughout the year – ever ready to glance the way of the Source. Amen Souldipper…and God Bless you abundantly! thank you Noel…and excellent verse to post on the mirror to remind us each day to TRUST. God Bless you! This is so true. It’s always a challenge, but I believe the key is to know we can face and overcome those challenges if we continue to focus on God. Great poem, J! I like your style! Yes…His Grace is sufficient always, isn’t it? God Bless You! Thank you for joining in the celebration of Epiphany with this awe-inspiring poem. That first line about the star requiring us to keep looking up for the light on our next step, and the next one, and the next….It is right on point! So good of you to put that line first, because it is the clue to all the rest. thank you Granbee….yes it is the clue to all the rest isn’t it? God Bless you abundantly Granbee!